Short Lines: Bourgault, Kubota, MacDon, Degelman, Seed Hawk, Highline, Vermeer, Honey Bee, Walinga, Land Pride, Meridian mfg., Buhler Farm King, NDE. Employees: 260+ – And looking for more! The Young family has a long history in both the agricultural industry and the agricultural equipment business. The family has ties back to Massey Harris/Ferguson, as Lloyd worked for the company and was a Massey dealer in Weyburn from 1959-1968. After that, Lloyd and his brother Ray bought the Case dealership in Regina and started Farmland Sales and Service. They expanded that dealership and formed the initial livestock business when they became the distributors of the McKee Stack’N’Mover for Saskatchewan and Manitoba. This became such a successful business that the brothers decided to focus on it and let the Case franchise go. The same year that transpired was the first year that Tim worked for Case as a demo operator in 1973. At age 18 he drove a Case 2470 towing a 37-ft WWC cultivator around Saskatchewan and Manitoba, covering 4,500 miles and putting on 30 successful demos. Tim worked for Case for all but one summer while he attended the University of Regina, graduating with a degree in Business Administration. After graduation, Tim went to work for Case full-time as a product specialist. Over the coming years he fulfilled various roles, including Service Rep in Swift Current and Territory Manager in Prince Albert and Regina, before he was promoted to Sales and Product Training manager for Canada in 1980. In 1981 the next generation of the Young Family went into the retail side of the Ag business when Tim was given the opportunity to become a partner in the Case dealership in Regina, Tractor Power and Equipment. The next 3 years were very successful, and with Tim’s help the dealership moved from the 50th ranked location in North America to #9. Sales for over 100 horse power tractors rose from a three year average of 20 to a three year average of 70 units. But being a minority shareholder can bring complications and so Tim chose to return to Case Company in the fall of 1984. The experience of being in the retail part of the business was very valuable and Tim was immediately offered a job with the Company-Store Division of Case. Eventually Tim and his wife Judy moved to Yorkton where he became Sales Manager and then Store Manager of the Case IH dealership (Case and International Harvester had just recently merged). This was a chance to learn about the full line of Ag equipment that the newly merged company offered. The transition from Case being the “Tractor Specialists” to the new full line was not without its casualties. 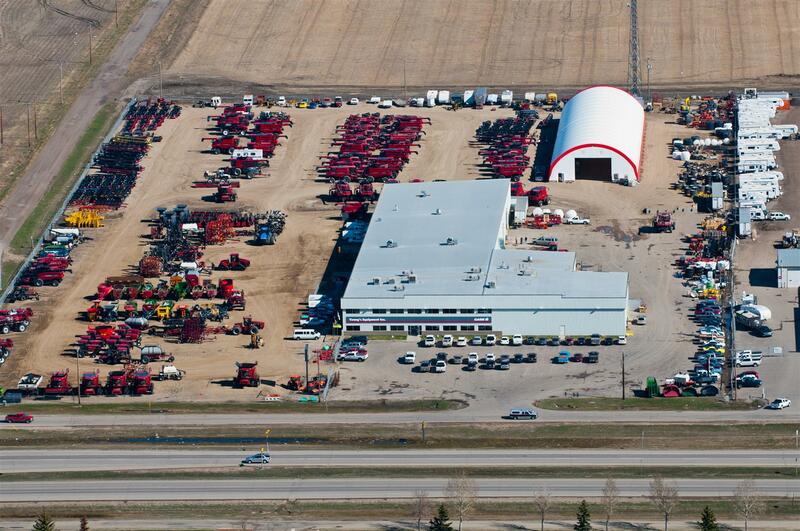 In Yorkton, the previous IH dealer lost its bid to be the new Case IH Dealer, while in Regina, Tractor Power was bought out and the new Case IH franchise went to the IH Dealer, Pro-AG International. That is until another fateful day in May, 12 years later. While the previous 12 years had been far from easy, Young’s had built a strong base of loyal customers and was really coming into its own, preparing to take on a second location in Moose Jaw when a devastating, total-loss fire at the Regina store rocked the Young’s Equipment family. While many expected that this would be the perfect time for the Young Family to step out of the game, ask any of them and they’ll all tell you that was never even a consideration. As a matter of fact, the fire turned out to be a blessing in disguise as it allowed Young’s Equipment to rebuild with a view for future growth (almost doubling the size of the Regina location) and pushed all the employees to achieve more than they thought possible... setting a precedent for the coming years and setting up a period of tremendous growth. Now with over 29 years of experience, Young’s Equipment Inc. is stronger than ever, and even more committed to agriculture than it ever has been before. We have our employees, customers, and the communities we operate in to thank for this. 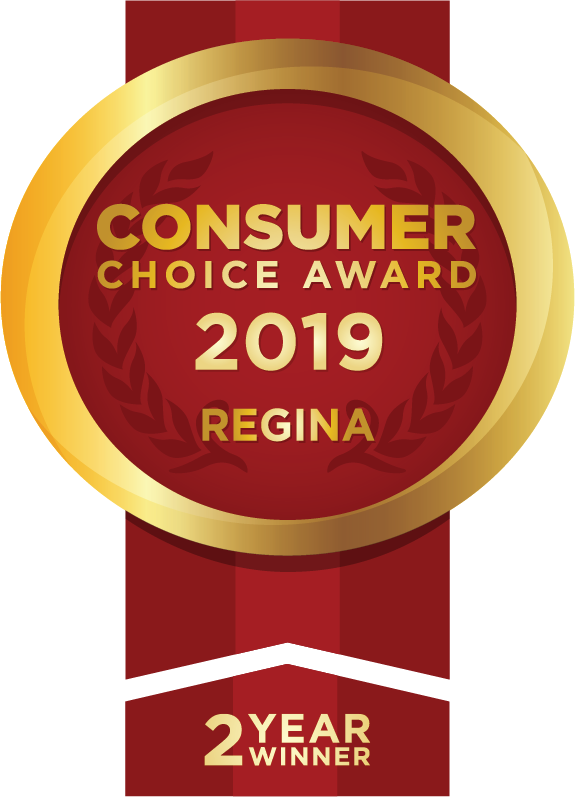 We couldn’t be more proud to be a part of Regina, Moose Jaw, Assiniboia, Weyburn, Windthorst, Davidson, Raymore, Watrous and Chamberlain, and all of Southern Saskatchewan. We can’t thank our customers enough for their support, loyalty, and continued business. We look forward to the coming years with great anticipation and can’t wait to share them with you!